Is Burma under Aung San Suu Kyi moving towards democracy, or a form of "liberal authoritarianism"? A tenuous civilian-military dance. Simmering Burman Buddhist nationalism. An impatient populace that is struggling with rising prices and power cuts, amid record-high GDP growth. A popular but inexperienced political leadership inching toward what some call “liberal authoritarianism”. All these make for a powder keg of apprehension and impatience, at times reluctantly expressed but nevertheless real, that is fast tempering the heady optimism about Burma’s political change nearly two months into the Aung San Suu Kyi-led government. This sense of discomfort peppered much of the insights from political figures to business people to academics and activists at the Myanmar Forum 2016, which was organised by the Institute of Southeast Asian Studies (ISEAS) in Singapore on 20 May. “It’s not only that people expect too much … but people are trying to endure,” political leader and activist Ko Ko Gyi said, adding that Burmese people are impatient after decades of deprivation not only for political freedoms but for the basic essentials of life. In March, the Suu Kyi-led government announced a 100-day programme, which was to have started on 1 May, to show quick results. The government said it would make daily announcements about this on Facebook and a phone hotline, but there have been few details. The deep fissures in Burmese society, and the gulf between state and society, make the stakes of inaction or miscalculation by the NLD even higher. These fissures include trust issues between the government and the ethnic groups, the unstable compromise between civilian and military and decades-old distrust across communities in society. “The almost impossible barriers to overcome are the deep divisions in Myanmar [Burmese] society. It’s a sense of despair, especially from ordinary people, about the future of their kids,” the University of Washington’s Mary Callahan said. 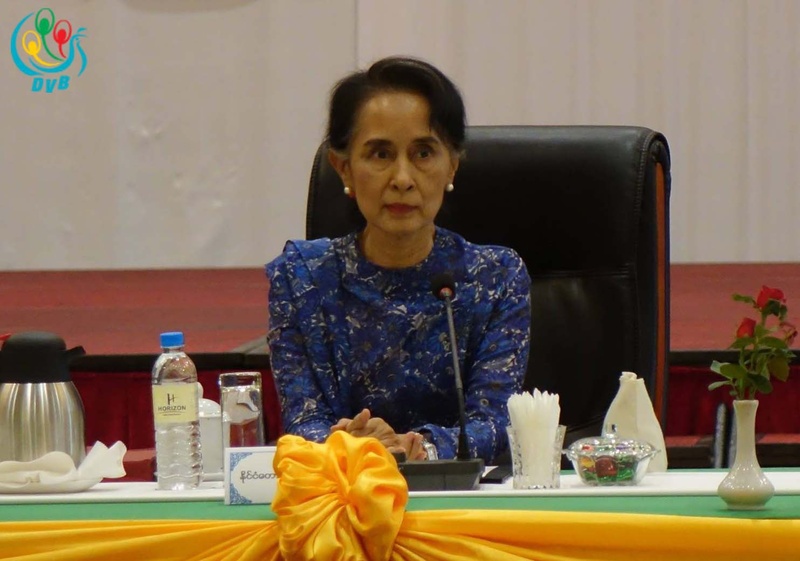 Over six decades of repression under a national-security mindset, on top of their isolation from the outside world, Burma’s people have had “negative socialisation over and over and distrust of anyone outside your intimate circle”, she said. This same distrust of a “broken” society later bred “deeply distorted expectations” of Suu Kyi if she ever came into power, Callahan added. “It’s been 15, 20 years since taxi drivers and rickshaw drivers have been telling me that when Aung San Suu Kyi is elected, there will be no more traffic, corruption, floods like last year, dengue fever. Street dogs will be gone and global warming will end, and everyone will have electricity for 24 hours,” she told the forum. But as patience thins, people now call the power outages “Daw Suu power cuts”, Callahan said. Not a few reminded Suu Kyi that her pro-democracy origins require her to use consultative processes — and look beyond today to build democratic institutions that will make sure democratisation stays. As it is, Tin Maung Maung Than said many find worrisome the arrests of anti-government protesters, since these sectors, which include workers, are part of those who invested in the democratic struggle. NLD has tended to “sideline mediating institutions” like civil society, political parties and media, but their involvement is key to governance, Min Zin pointed out. Suu Kyi’s bypassing of these is creating “a populist sentiment such as the Suu Kyi consensus, and if you deviate from the Suu Kyi consensus, you will be named and shamed, especially in social media”, he warned.